Popular Nigerian artist, Bankole Wellington, also known as Banky W posted an insightful letter to all single men and women. Wellington had uploaded a picture of his married celebrity friends, Tunde Demuren, Ebuka Obi-Uchendu, and Olamide Adedeji, all wearing their wedding bands and tagged it; “ the Last man standing’’ in reference to his relationship status. 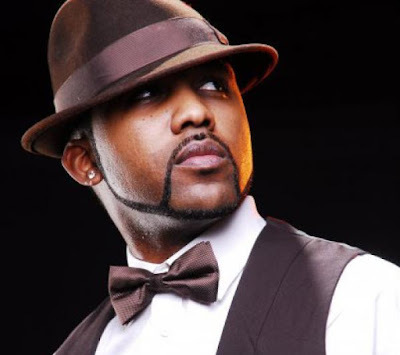 Banky W noted that he posted the letter as a result of the attention he got from a fan who felt unsettled by the fact that Wellington was the only one in the group that was still single and not married. “If I got a million naira every time I am asked when I will marry, I’ d be a billionaire, but thankfully, I am not the only person in this situation’’. “My fellow bachelors and bachelorettes, for too long we have been teased, harassed and tormented by Society with when will you marry, and when is your wedding and it is getting out of hand. “You don’t see us going around to old people asking them please when is your funeral. “These days, I can’t even post Good morning on social media, without someone saying yes, but it will be a better morning when you marry. “It is with this in mind that GidiLove was created". “The song is in defence of all single people in Lagos and all over the world, some of us are just not ready. “Some of us are single and searching, but it hasn’t worked out yet. “There are others who may just not want to get married at all. The point is that in the words of the great Youngskales, it is Nobody’s Business". “By God’s grace, we will get there and we will settle down with the right person and live happily ever after. “But until then, please leave us alone because the same people, who are pressuring us and talking us into marriage, are the same people who will mock us and talk about us if the marriage ends quickly. “If it is party rice you people want, we will give you party rice and peppered fish and some Ciroc to wash it down but leave us and our single status alone". “My fellow single people, waste no time in downloading GidiLove today so the next time someone asks you those annoying questions, just smile and play the jam for them". “By Order of the most Eligible Bachelor in Lagos,’’ Wellington stated.